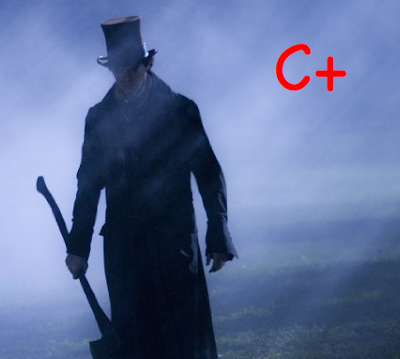 Our 16th president – when not giving eloquent speeches and leading a young nation into a new age of slavery-free dignity – was hunting vampires at night in his spare time. This is according to the silly but surprisingly captivating Abraham Lincoln: Vampire Hunter. Benjamin Walker is a shockingly versatile Abe Lincoln who, like nearly every other performer in this film, looks distinctly modern (the exception is Mary Elizabeth Winstead as “Mary Todd” who could not have been better picked). This, of course, is a goofy action movie, but we aren’t put off by it, not even by the fact that Abe was an axe-swinging, undead-destroying force, as well as a thoughtful dignitary who traveled to make change with the things he said rather than did. To the movies’ credit, he does a lot of policy-making, too, and much of that involves what he is known for historically. 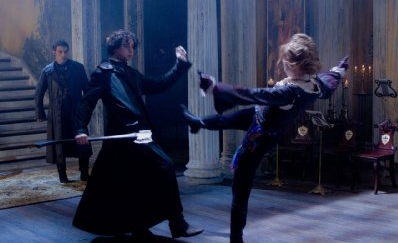 It is Abe’s best friend “Henry” (very devotedly played by Dominic Cooper) who reluctantly brings him into the difficult lifestyle of vampire hunting and trains him like a Jedi Knight. Yes, Abe is like a trained and honed Luke Skywalker, and so we never actually doubt that he’s up to the job. Having witnessed as a child his mother die violently at the hands of a vampire, Abe sets out on a personal quest for vengeance. When his increasingly successful efforts begin to be noticed by the hordes of darkness, his quest goes from one of simple vengeance to one of national interest as he discovers their plans are to take over the nation. It shouldn’t be the least bit odd that civil rights politics come to play a part in the plot. It is the vampires who fight on the pro-slavery side of things, and when Abe says no way, they go after him with everything they have. You can guess how this will impact the turnout of the war. And if you guessed that there would be some hints at theology to go in with the politics, you’d be right: “I’ve seen men enslave one another until they invented gods to forgive them for doing it,” one of the leaders of the vampires says. 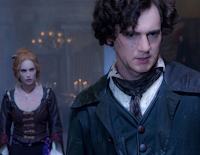 So we have politics, some theology to help the good vs. evil angle, and a story insanely focused on vampires—and a famous president with a silver-laced axe taking them apart; it is on this front that the movie keeps its head above water in being entertaining, and sometimes even surprising. There will be no claims to greatness here, but this is a fast-moving ride of action and belief-suspension that deserves some credit. 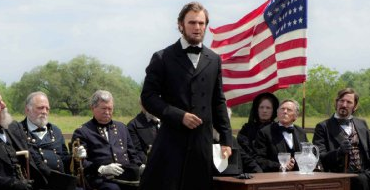 A lack of depth in the character or person of Lincoln doesn’t bother us here for obvious entertainment-based reasons. Just don’t judge a movie by its cover too, too fast. While some will assume it is too ridiculous a film to ever be worth seeing, some will enjoy it for the mildly entertaining and creatively satisfying splurge that it is, while others still will loathe the fact that kids are interested in the Emancipation Proclamation only when the one who created it and put it into law was a vampire hunter!